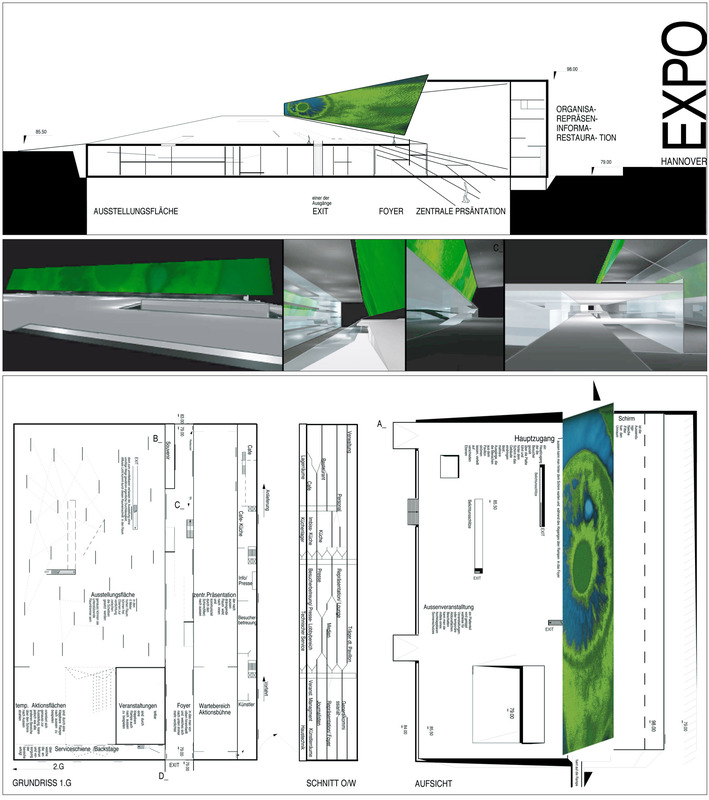 The competition for the main Expo pavilion in Hanover, Germany had several issues. One of them was, that the pavilion should work as a presentation space, and after the event it should be used as a commercial space. The concept of the design surrounded the theme of information nowadays, in correspondence to the Expo – once considered as an information event. The pavilion is a subsurface place, just having a huge screen above. It shows just a surface, the access to the ‘underneath - the substance’ is not obvious.